Foods people love. The life you imagined. And the culinary capital. 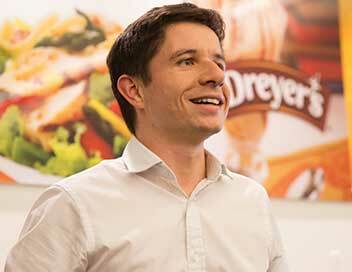 Nestlé USA is transforming what we do, how we do it, and where we work. Now is the time to define your future, and ours, too. 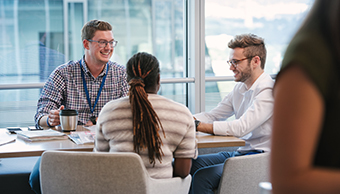 Find your fulfilling personal and professional life, matched with our competitive benefits, focus on innovation and limitless opportunities to learn and advance your career. Discover the ways that Nestlé USA values and supports our employees and community. Giving back continues to be a part of the Nestlé tradition. As the world’s leading nutrition, health and wellness company, our focus is not only about nourishing our customers, it’s about enriching you. This position supports the International Human Resource Department in matters related to global mobility services. •	Coordinates human resources activities for expatriate and inpatriate employee population. •	Consults with expatriate employees and coordinates pre-departure, post-arrival, assignment counseling and related services. •	Consults with the various US operating companies (HR and business partners) regarding application of expatriate programs, including: salary, employment conditions, host country taxation implications, obtaining career management support, and ensuring compliance with Nestlé worldwide guidelines and local employment regulations. •	Administer the various international tax policies and international split payrolls in various currencies. •	Review international tax settlement calculations and coordinate reimbursements/collections between foreign affiliates, tax preparer, and assignee. •	Work with Finance team to ensure proper cost allocation of invoicing to and from foreign affiliates. •	Maintaining business partnerships with the International HR vendors. •	Lead various international HR projects expatriate programs such as the annual inpatriate and expatriate salary reviews; annual APEX computation and payout; and annual year end tax assistance. •	BS/BA degree required with a preferred focus in human resources, psychology, business or related field. •	3 years HR generalist and/or HR specialist experience (benefits, payroll, compensation, employee relations or performance management) required. •	Experience in international HR and/or relocation strongly preferred. •	Understanding of international payroll and taxation. •	Ability to prioritize workload. •	SAP HR experience a plus. •	Ability to exercise and maintain a high degree of confidentiality.